On Saturday 17th of June the Queensland Individual Time Trial Championships were held at Kingsthorpe. 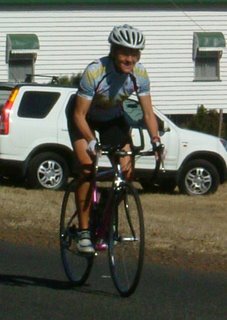 Queensland's top Time Trialist's converged on the sleepy community equipt with their sleek racing machines. 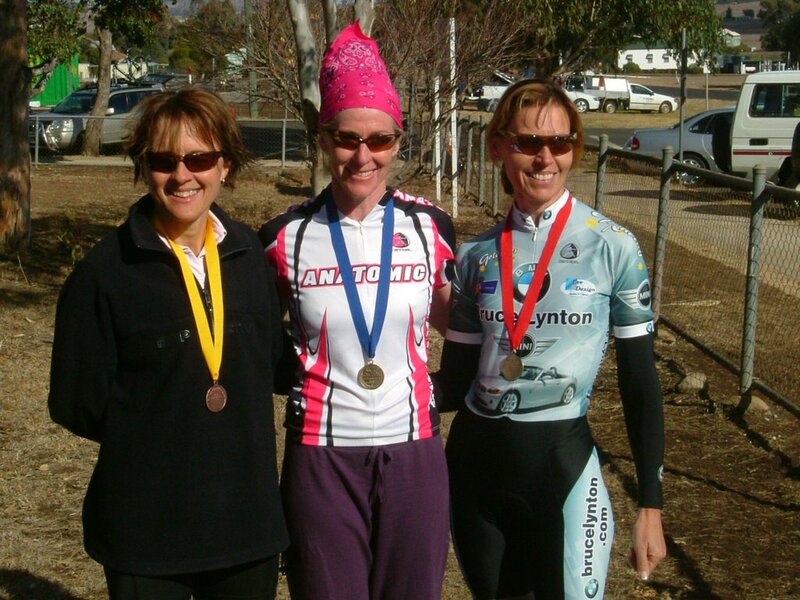 Team Dalby were represented by Andrea Gormley in the 40 - 45 Ladies Masters and Sam Beck in the Elite Men. Conditions were less than ideal with a strong cross wind that the riders had to contend with. Andrea was first off for her category with chasers going at 1 mintue intervals, the second off was Helen Griffiths the 2006 Australian Bronze Medallist. The course was a 20km out and back which consisted of rolling hills and rough road surfaces which made the going tough. Fastest time for the category was Helen Griffiths of the Gold Coast in a time of 31 minutes 05 seconds, second was Janine Parkin from Gold Stars Club in a time of 34 minutes 20 seconds and Andrea in third with a time of 34 minutes and 45 seconds. An awesome effort for Andrea!! Still waiting on final results from Sam, report coming soon.